Many years ago, at University, I went to a talk given by William Hartston, the chess master, at the Artificial Intelligence society. Big Blue had not yet defeated Gary Kasparov, but it was clearly only a matter of time before a human chess champion lost to a computer. When that occurred, Hartston said (controversially, given the venue) it would not tell us a great deal that we did not already know about the capacities of computers, but simply tell us about the limits of chess. He argued that a computer and a human player approach the board in completely different ways. The computer reviews all possible permutations (or at least the permutations available given the processing power and the time available, which is by no means the same thing). The human chess master does not apply the same select all- review all- reject all-but-one model. Hartston pointed out that the difference between human and computer seemed to lie with pattern recognition and processing. A human chess master, briefly seeing a chessboard set up in the middle of a game and then overturned can put the pieces back in a much closer approximation to their original positions than if the board had simply been set up with pieces placed at random. In the latter case the chess master is no better or worse at recalling the pieces' positions than a non-player. What Poincaré seems to be describing there is the precise equivalent to how the chess master selects a move, applied to the field of invention. But his insight goes further than that; in fact it has profound importance for when patent validity comes into question. To be valid a patent has to possess novelty and usefulness2, and not be obvious over the prior art. In assessing novelty and lack of obviousness the law calls into play one of those tiresome legal personalities beloved of the common law and hated by law students. In this case, it's not the "officious bystander", the "moron in a hurry" or the "man on the Clapham omnibus", but "the person skilled in the art". The judge recorded that there was little dispute by the end of the trial that the skilled person to whom the Patent is addressed is a team of people. It comprised a clinician, a pharmacologist, a formulation scientist and a pharmacokineticist. What they are not allowed to do is to display any inventive spark. They must, in short, approach the problem as a computer approaches a chess game, by running through all the possible permutations of the elements in their notional database4, without allowing for the imaginative leap into the unknown described by Poincaré. In short, while a computer cannot hope to replicate an inventor, the days of the human patent examiner may be distinctly numbered. 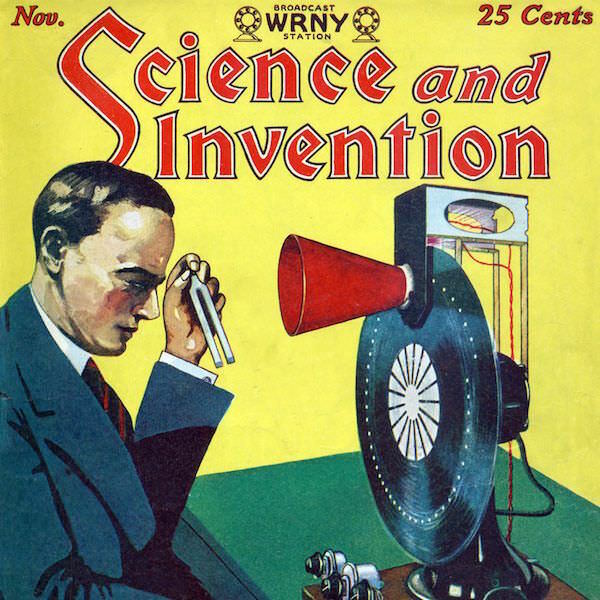 The main image used for this article is: 'Science and Invention Nov 1928 Cover' and was used under the terms detailed at the above link on the date this article was first published.